The Australian Ballet School ends their year with a selection of well-chosen highlights to accompany the welcome addition of La Sylphide to their repertoire. A trio of brightly polished works showcase the Level 4-6 students in the first section of the program. The curtain rises with Waltz from Birthday Celebration, choreographed by Mark Annear for the School’s 40th Anniversary Gala in 2004. An elegant beginning to the evening, the gently classical piece features pure dance performed with serene sweetness. In front of a fresh amber backdrop, the dancers wear crisp white costumes, with the girls sporting extra sparkle at their chest and in their tiaras. In a clear sign of the maturity of the dancers in their preparation for the stage, a female dancer suffered a fall and was back on her feet with such instant grace that she was back at her best in a split second. The next two items have a highly characterful focus, benefitting significantly from performance in the relative intimacy of Playhouse compared to State Theatre, where they each had their world premiere in September in Showcase 2018. Wolfgang Dance is an adorably playful piece set to Mozart’s Eine Kleine Nachtsmusik. 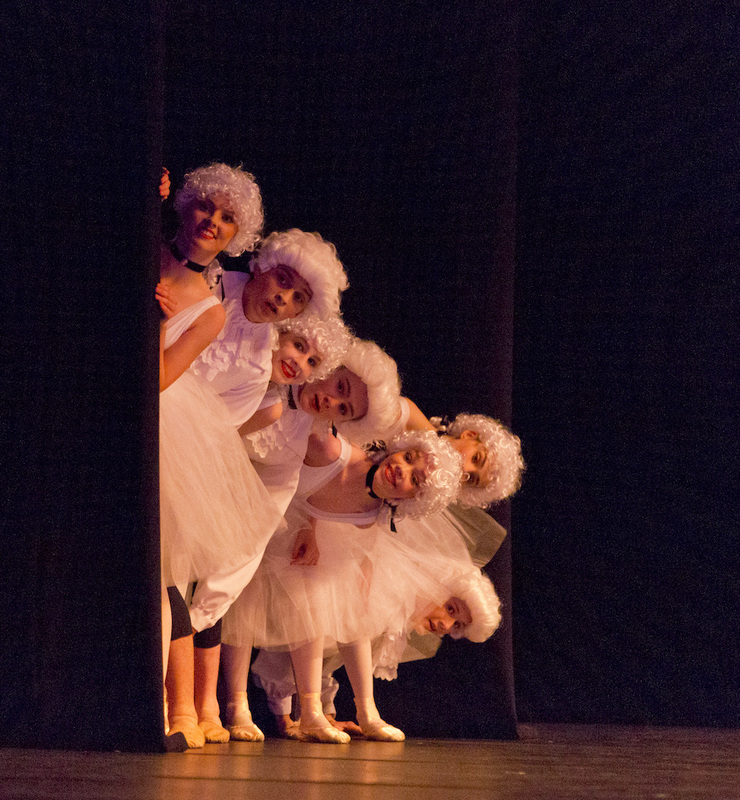 Sporting fluffy white wigs, a set of boys dressed as mini-Mozarts and girls dressed as balletic versions of Costanza appear to have as much fun performing the dance as the audience has watching it. Choreographer Simon Dow plays with the manners and motions that would usually be seen in a dance of this period, subverting the moves by having the dancers comically collide with each other with faux frustration. The cute shuffling motion adds to the good humour, with the moments of male vocalisation adding another unique aspect. An ode to teenage playground politics, Margaret Wilson’s Heart Strings successfully and succinctly captures the tension, rivalry and camaraderie of young people. Storytelling is abstract overall and yet is clear within each vignette as power-plays and romantic entanglements of various combinations unfold to the lovely music of Debussy. Their hair swaying in ponytails, the girls wear pale blue chiffon mini dresses, while the boys’ black unitard have a distinctly masculine feel due to the sleeveless top and sharp v-neck. Performed in silence, the first movement is striking in its precision without the guiding beat of music. The all male movement, entitles “Bullied,” is a particular highlight. Wilson’s work is well synchronised and yet leaves ample scope for individual expression. The brisk set of scenes adds up to a substantial work overall. La Sylphide is such an ideal choice for the repertoire of the School that it seems extraordinary for the ballet not to have been performed until now. The concise ballet is the perfect length for a featured presentation, and is a very good fit for the age range of the students, telling the tale of a set of enthusiastic young people who are excited for their friends’ wedding. 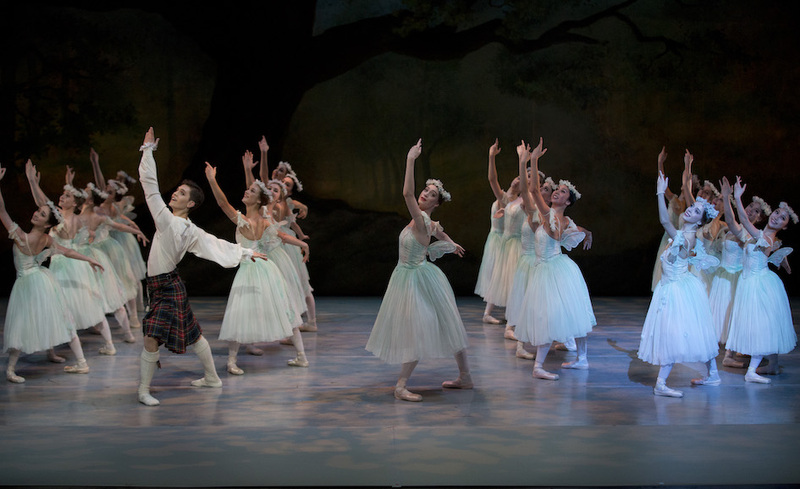 Restaged by guest choreographer Greg Horsman, after August Bournonville, La Sylphide is presented in two acts, with plenty of work for the corps de ballet in addition to featured soloists. Storytelling is crystal clear, supported by strong character work. The presentation benefits immensely from the gorgeous costumes and detailed set, which are on loan from The Australian Ballet. Playing the title role of the Sylphide, Hayley Thompson shows herself to be a gracious, mature dancer, capable of conveying a charming romantic presence. Thompson balances the Sylphide’s coquettish nature with the demure effect of dancing with her eyes deliberately downcast. As the unfortunate bridegroom that was to be, Thomas McClintock sports a fresh, innocent countenance, showing James’ harshness toward unwelcome witch Madge to be a momentary fall from grace. McClintock’s terrific solo work is a clear highlight of the ballet. Reaching impressive heights, McClintock moves with athletic grace. He has the confidence to actively engage with the audience in all his dancing, making James all the more likeable. Another strong soloist, Jamie Delmonte gives stirring support as Jamie’s cousin Gurn. Jasmin Forner beams with a young bride’s radiance as Effie. Andrew Murphy creates an excellent physicalisation as Madge, looking twisted and fragile in the witch’s halting gait. Murphy captures the broad humour of Madge’s fortune telling, and commands the stage when the witch is cursing James for his perceived lack of hospitality. The smaller stage means space is filled with dancers, with the massed dancing in the festivities of act one being a wonderful standout sequence. The corps of Sylphides are lovely, with pristine, fleet-footed featured work coming from Sydney Merrilees, Annaliese Macdonald and Belle Urwin. There is a clear sense of pride from family and friends towards the student dancers, while for the general public, the program is an accessible, entertaining glimpse at the ballet stars of tomorrow. La Sylphide & Other Works plays again at Playhouse, Arts Centre Melbourne at 1.30pm and 7.30pm 8 December 2018.